The other thing he does is a lot more interesting. The book is a history of the Habsburg Empire, and it naturally mentions cities that have names in German and one or more Slavic languages. Many books of history handle such matters of nomenclature with a prefatory note in which the author presents the problem, then explains why he or she has chosen to use one name or the other. This author, on the other hand, almost always gives both or even all three names of a city every time he mentions it. This must be obtrusive on the page, and it's almost maddeningly disruptive when one has to hear someone reading it. And yet, many hours into the book, while the violence this does to the rhythm of the reading remains, it begins to drive home the multiethnic character of the empire in question. 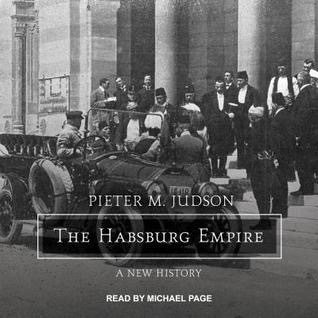 This is of particular interest given the various types of nationalism and regionalism that came into play in Habsburg territories in 19th century. So I grudgingly concede (note my proper use of that word, author) that the device is effective.